Univet Nutrition and Animal Healthcare Company (UNAHCO), the agribusiness unit of pharmaceutical leader Unilab introduces its newest products under the Doggiessentials line. Doggiessentials is not just another dog or pet care product but they aim to look after the total well being of our furbabies. 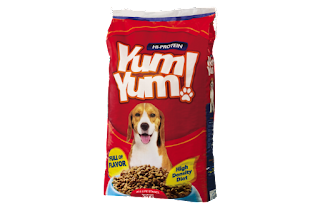 The newest line includes dog food under the Yum Yum brand, dog shampoo under the Bubble Bath brand, and Dextrolyte Powder, a ready-to-mix dextrose powder with electrolytes to help animals fight stress and dehydration. Doggiessentials Brand Manager Chester Subagan said UNAHCO recognizes the huge potentials of pet products due to the growing number of people who consider pets as perfect companions whether at home or outdoors. Being a pet parent to my furbabies, Crumpy and Cheesecake, I am excited to hear about affordable and quality products that ensures not only good looks but for the overall health and well being of our beloved pets. 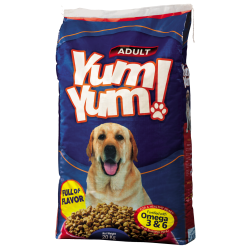 With a company that share my same vision about genuine pet care, I am looking forward in trying their products. Their dog food brand, Yum Yum, comes in two variants: Hi-Protein for puppies and the Adult variety which is fortified with Omega 3 & 6. 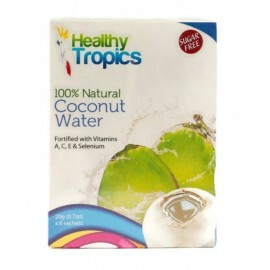 Both variants have flavor peptides and Vitamin B Complex to enhance appetite and promote strong growth. Bubble Bath, on the other hand, is a pH-balanced dog shampoo that eliminates odor because it is formulated with the right acid-to-base ratio to keep dogs’ skin and coat healthy. 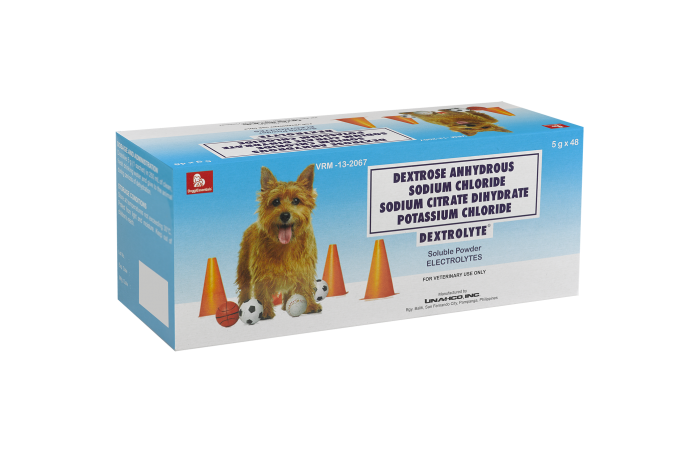 Dextrolyte, for its part, serves like a sports drink for dogs. I have always believed that we should ensure that electrolytes are replenished or adequate, when they are not feeling very well and after we travel. For more information about UNAHCO’s new pet products and other pet-related activities, you may visit their website, www.mydoggiessentials.com. P.S. We haven't tried these products yet but will try to see if they're already available here in Bacolod and make a review about it. If you have tried them, share your thoughts about UNAHCO's latest products in the comments section below. We all know that January is the best time to visit Cebu because of the Sinulog Festival. For all those heading to the Queen of the South or wanting to go, check out these suggestions from Smart on how to level up your Sinulog experience. 1. For those who do not have tickets yet or have no budget for a vacation, get a chance to win a roundtrip ticket not just for yourself but for the whole barkada of 5. Smart is giving you a chance to Sail on a party ship to Sinulog by posting your best squad photo on Instagram with the hashtags #SmartSinulog and #SmartLife and win a roundtrip ticket to Sinulog for 5 via Oh Ship!, the biggest cruise party headed for Sinulog! On top of that, you and your friends get to stay at an Airbnb accommodation as well as attend the hottest Sinulog parties for free! Oh Ship!’s maiden voyage sets sail on Jan.15, and will feature all-night beats from top DJ and Producer Andy Caldwell and Smart ambassador Nix Damn P, along with some of the country’s top beatmakers. What an epic way to get to Sinulog! 2. For those who already have bought tickets but have no booked accommodations yet, then don't miss out on this offer and relax at an Airbnb accommodation with P2,500 discount. Check out Airbnb, which is the world’s leading community-driven hospitality company. With only a few clicks on your phone, you can choose and book from Airbnb’s listing of unique accommodations that offer a complete and convenient travel experience for your squad. 3. Once you are here in Cebu, prepare yourself for the ultimate experience and Party hard at ‘Smart Life’ Parties. Aside from the colorful street parades and cultural shows, you and your barkada can head to the LifeDance Cebu and Invasion Cebu for Smart’s brand of epic partying. The biggest electronic dance music party, the LifeDance Cebu will be held at the San Pedro Calungsod Shrine on Jan. 15, with a strong line-up of DJs that include New World Sound, Tom Swoon, Felguk and DJ Snake, along with Smart ambassadors DJ Ace Ramos and MC Pao, among others. On the other hand, the Invasion Cebu, a colorful music feast at Fooda on Mango Ave. on Jan. 17, is topbilled by the country’s party staples featuring Smart ambassadors Nix damn P, Inno Naguit and MC Pao. 4. Hang out at the Smart Dome for games and prizes. In both the LifeDance Cebu and Invasion Cebu, you have access to the Smart Dome, a cozy hangout where you can retreat and reenergize from time to time. Get a Sinulog shirt which you can design the way you like as an instant festival souvenir! Your whole barkada can also engage in exciting activities at the booths of Smart Bro, Spinnr, iflix, Airbnb for a chance to take home awesome prizes. 6. 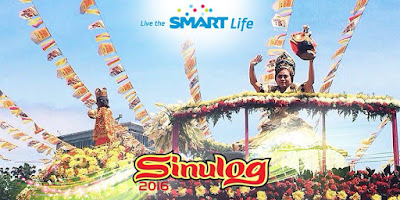 Download the Sinulog app. 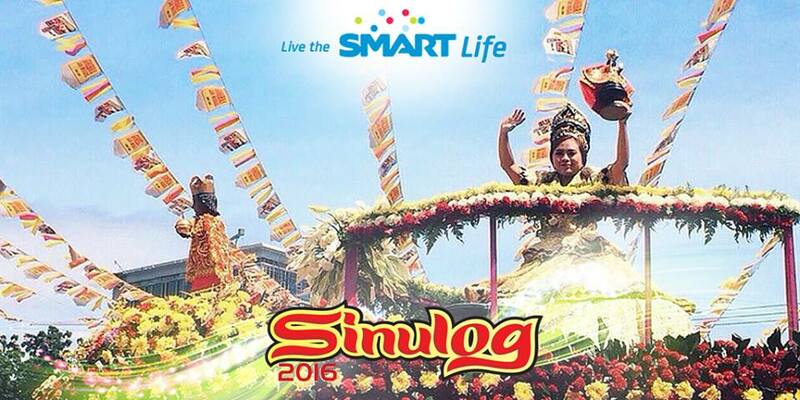 Stay abreast with the latest updates on Sinulog by downloading the FREE Sinulog app on your Android or iOS device. This way, you’re sure not to miss all the happenings and Smart Life perks in the country’s grandest celebration! 7. Share the Sinulog experience. Make your Sinulog memories last by sharing them with your friends on Facebook, Twitter, Instagram or Snapchat with the hashtags #SmartSinulog and #SmartLife! Cover all your online needs throughout the festival with Smart Prepaid’s Big Bytes 50, which gives you 350MB for surfing and access to your favorite apps. Keep tabs on the latest Sinulog Festival experiences by checking our Smart’s official accounts on Facebook (www.facebook.com/SmartCommunications), Twitter and Instagram (@SmartCARES). Since I started working at home, it's quite obvious that I have greatly minimized my trips to the mall and other public places. All errands needs to be planned and have to be completed at one "go." This also paved the way for me to love online shopping and even food delivery. Thus, whenever I see a new merchant available, I get excited. Unfortunately, this new online marketplace is not yet available here in Bacolod but I'd like to share my latest discovery to my readers in Metro Manila. PackingDelicious is a marketplace website and delivery logistics service for pre-packed food, which includes canned, bottled or frozen food. 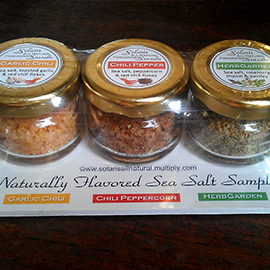 These home-grown favorites from local and artisan food producers are delivered directly to the customer’s doorstep. They provide a centralized approach to marketing and sales for these vendors plus the logistics capacity to pick up items from their pick up point and ensure same-day or next-day delivery to the end-customer via our its logistics network.